It&apos;s that time of year to thank Mum for everything she does throughout the year. Make this year extra special and send this stunning gift that we have put together. 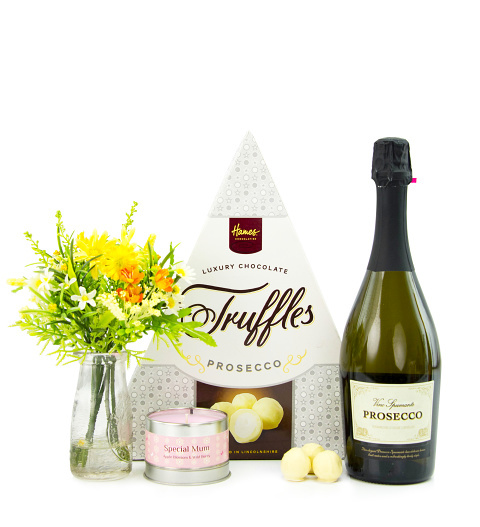 Included is a bottle of Mum&apos;s favorite proseccos, delicious chocolates, a scented candle is everything she needs to unwind this Mother&apos;s Day.